If you love playing first person survival horror games like Silent Hill and Resident Evil, then you may like Amnesia: The Dark Descent. Developed by Frictional Games, Amnesia: The Dark Descent took 3 years in the making. Although the game is not free, it works out of the box on any latest Linux distribution. 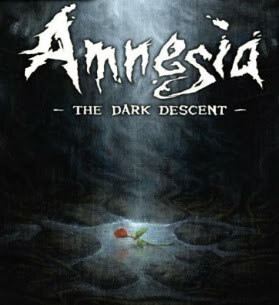 From its website, Amnesia: The Dark Descent is described as "a game about immersion, discovery and living through a nightmare". "An experience that will chill you to the core", it added. In the game, you will play the role of Daniel, who awakens in a dark, godforsaken 19th century castle. Although he knows his name, he can hardly remember anything about his past. Daniel finds a letter, seemingly written by him and which tells him to kill someone. Amnesia: The Dark Descent will bring you to creepy pathways to take part of Daniel's troubled memories. You don’t have access to weapons like guns or knives, and must only use your wits and skills to avoid or hide from enemies. The game uses fully physical simulated world with highly realistic physics engine that provides natural ways to interact with different objects in the environment. It offers cutting edge 3D graphics and dynamic sound system for a more engaging game experience. If you have what it takes to survive, you can download the game demo HERE, or purchase the full version of the game HERE. Silent Hill and Resident Evil aren't first-person.